Click on the map or text links below for more information about key factors related to the health of streams, rivers and lakes. 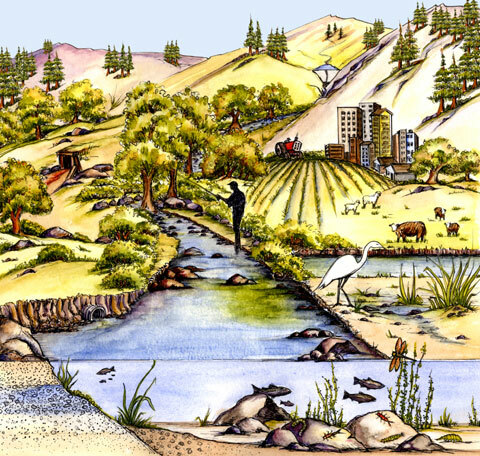 Move your mouse over the picture to explore the variety of attributes that affect stream health. Click on an attribute to see why it is important and how we measure it. You can also click on one of the stream attributes listed above. What is the extent of our stream and river resources? What is the condition of our streams and rivers? What is being done to make our waters healthier?